Wikipedia has gained a reputation as being the encyclopedia that can be edited by anyone. One professor from the University of Toronto decided to take this a step further, asking his students (as an optional assignment) to seek out articles on Wikipedia about which they were knowledgeable, and contributing to them. But it appears that those who pride themselves on being a part of Wikipedia’s ‘elite’ group of editors didn’t appreciate the help. 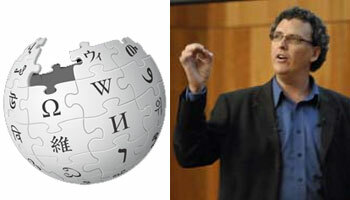 Steve Joordens, a professor at the University of Toronto, proposed to his class that they should help the Wikipedia community by adding content to relevant Wikipedia pages, The Canadian Press reports. Of his 1,900 Introduction to Psychology students, only a small portion of them opted to edit some of the Wikipedia pages. Some of Wikipedia’s core group of volunteer editors began to complain about the sudden influx of edits to pages, and expressed concern that those who were editing them weren’t citing them properly, or weren’t very knowledgeable on the topic. Of the 910 articles edited, Joordens told Canadian Press that only 33 were flagged for problems. Nonetheless, discussion about the assignment became heated, with some editors suggesting articles had information that was plagiarized, or outright wrong. A few who were particularly outraged even called for a ban on university IP addresses. “I assumed that the current core of editors was extremely large and that the introduction of up to 1000 new editors would be seen as a positive,” Joordens told Canadian Press, also mentioning that he didn’t realize only a core group of a few thousand people edit the website visited by more than 488 million each month. It might seem strange that a document that can be edited by anyone would have such strict rules, but the reality is, Wikipedia wouldn’t be the widely-used resource it is today if everyone did jump in and edit articles. Wikipedia operates on a strict system of citing sources; something that university students should have a solid grounding in, but unfortunately, not something that all have a grasp of. There are numerous sources online that anyone with an Internet connection can contribute to. Urban Dictionary, for example, is a repository of slang that you or I could add to, regardless of what we write. As a result, you often get definitions for slang terms that are widely agreed upon, but an assortment of others that may only be used by a small group of people, or even an in-joke between friends. Wikipedia has made a point to not operate like that. In order to become the go-to resource for many people online, Wikipedia relies on a group of volunteers who take the job of verifying Wikipedia entries very seriously, quickly flagging items that aren’t sourced correctly, or are strictly there for promotional purposes without contributing to a better understanding of the world. Which brings us back to the assignment: no matter how eager Joordens’ students were to contribute positively to the Wikipedia community, chances are good that as a group of largely first-year university students, their knowledge of citing information was likely lacking compared to a group of dedicated editors. And since many were just starting their post-secondary education, they probably weren’t experts in any particular field just yet. The onus here is ultimately on Joordens: Wikipedia may seem like a free-for-all at times, but treating it as such only lowers the quality of articles on Wikipedia. By presenting it as something anyone could do without an understanding of the process behind Wikipedia articles, it cheapened the process and hard work that goes into the site. The editors of Wikipedia are only interested in having people who can contribute meaningfully to the site add or edit pages. Ironically, though, if the backlash hasn’t turned you off contributing to the world’s largest open source encyclopedia, April is Contribution Month for Wikimedia Canada, where those who want to learn how to contribute can meet with existing editors. Visit the Contribution Month in Canada page for more information, and a list of dates and locations for meet-up events.